Assessments come in all shapes and sizes. They serve as a measure on student progress, and help guide you and your class through the year’s curriculum. 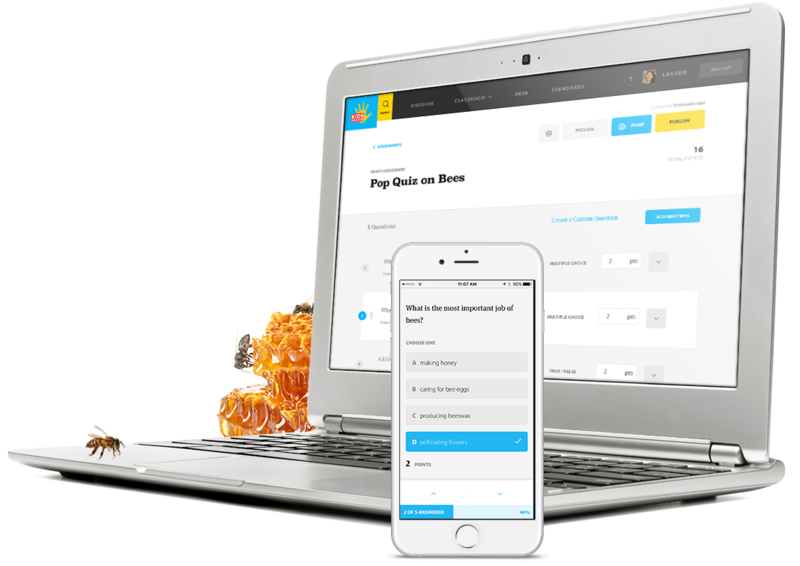 That’s why we’ve created a dynamic new feature that makes it easy to build, distribute, assess, and track customizable quizzes, tests, and homework assignments directly within Kids Discover Online. 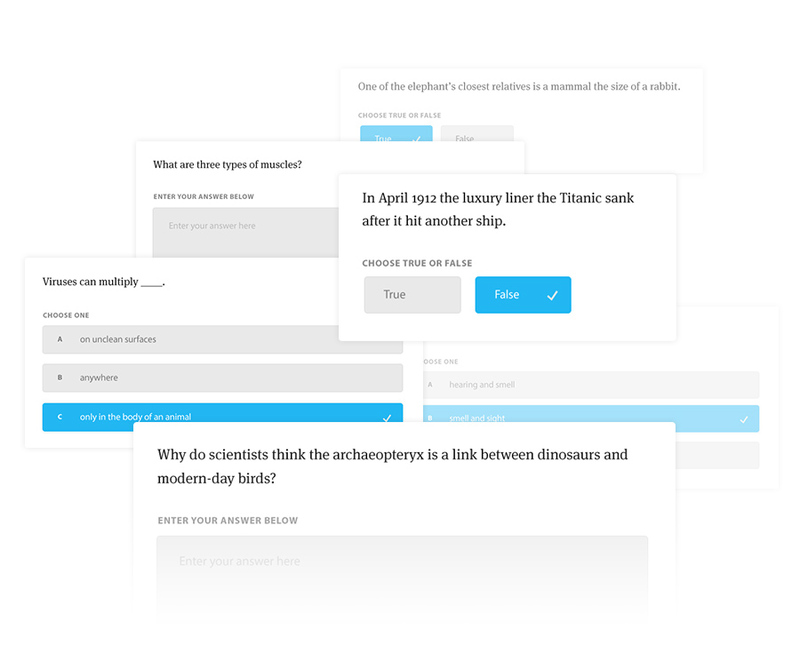 Our Assessments feature includes over 5,000 pre-made questions covering more than 1,200 science and social studies topics. Each topic has between 3 to 5 questions, including a mix of discussion prompts, short answer, multiple choice, and true/false. I loved the assessment portion of Kids Discover Online. The pre-made question bank is wonderful and I like the ease of adding my own questions. Thanks again for a great product. Not finding pre-made questions you want to use? We’ve got you covered! 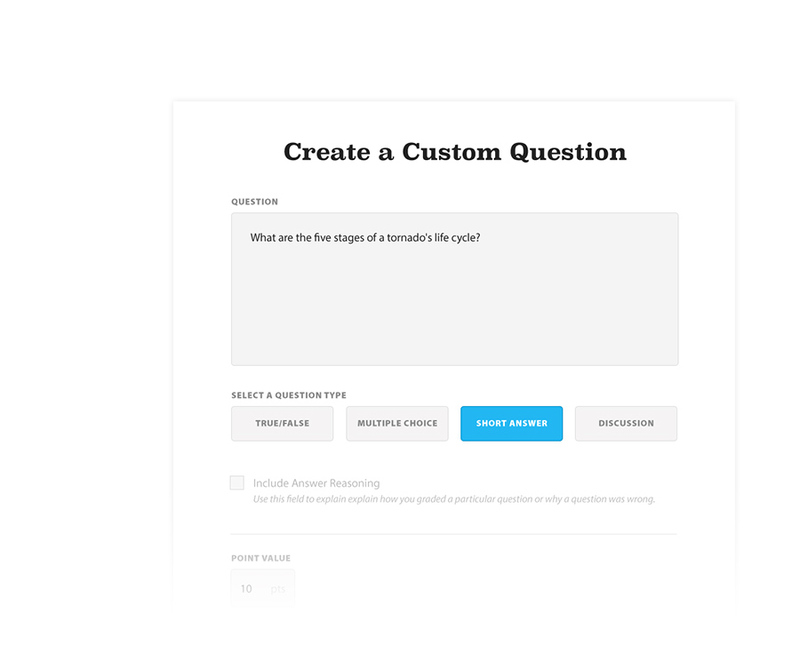 Our assessments tool enables you to create your own custom questions and save them to a personal question bank for future use. You’ll also have the option to include your own answer reasoning and define point values. As an educator, you can lock or unlock content during an assessment to restrict what your students can view while the assessment is in process. 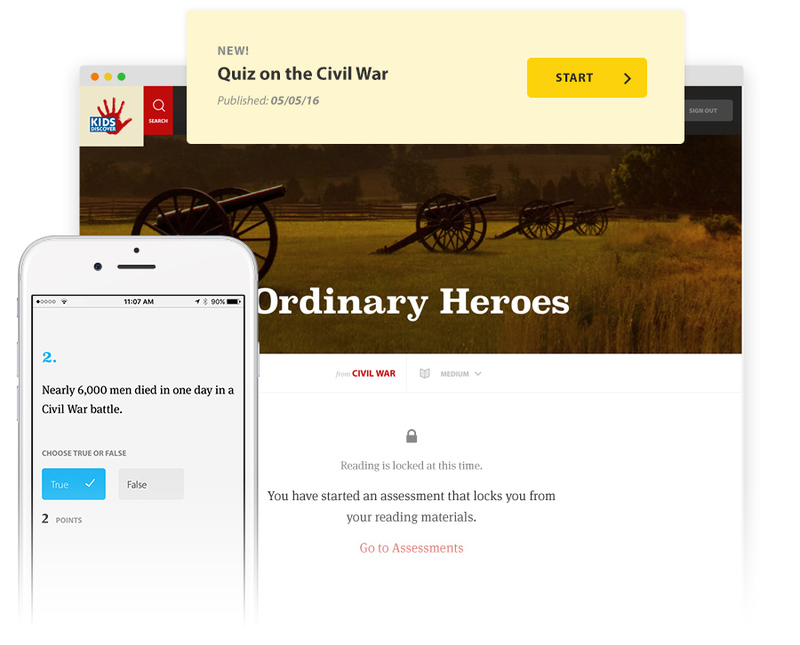 Locked content is ideal for formal tests and quizzes. Unlocked content is ideal for homework and group assignments. It’s important to understand how your students perform on each assessment, and to make sure you’re assigning fair and appropriate questions. That’s why we made it easy to analyze how your class performed on a particular question. Using easy-to-read stats and graphs, you’ll always know which questions were too difficult, or too easy for your students. Keeping track of student performance throughout the year is critical. 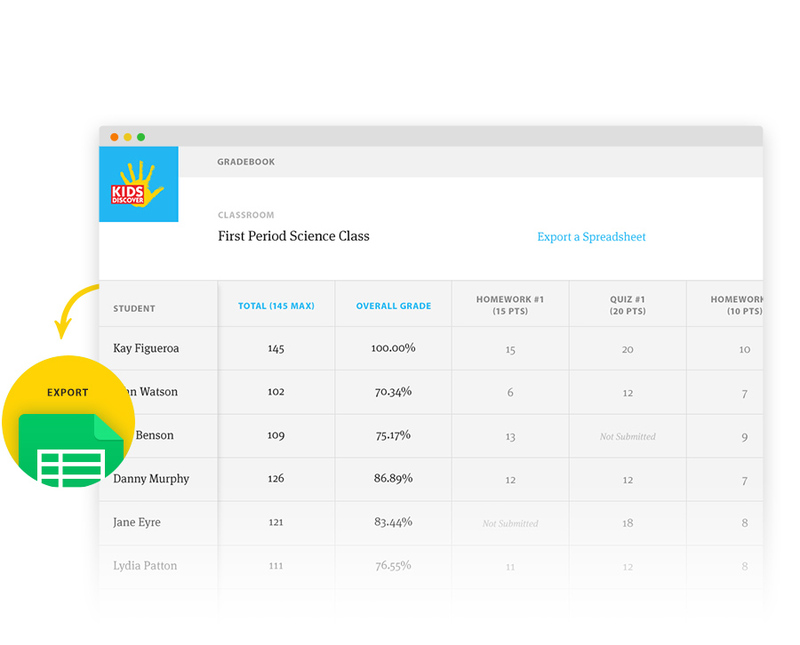 With Gradebook, you can view and analyze individual student performance across multiple assessments, and across the class as a whole. Students also have the ability to review their past results or drill into a specific assessment to see their progress throughout the year.